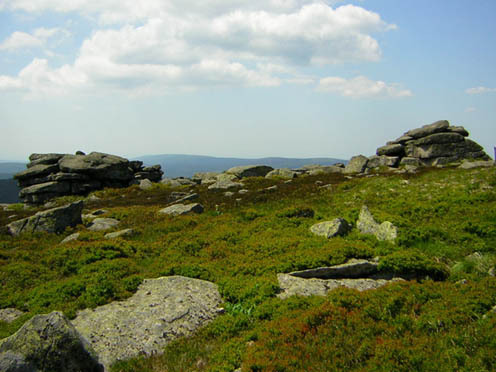 The geopark is located in Northern Germany and encloses the Harz Mountains and the northern situated "Braunschweiger Land" up to the Flechtingen Ridge. The whole geopark area is about 11.500 square km and it contains 18 districts in three german federal states. 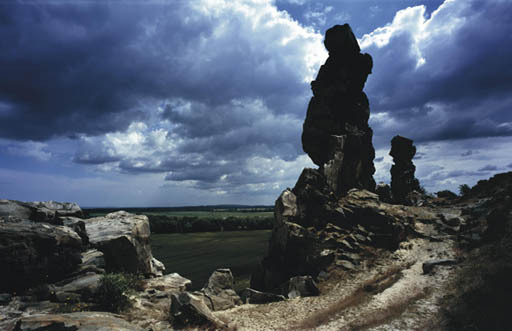 the "Regionalverband Harz" in Quedlinburg is an organisation essentially formed by the rural districts of the Harz Mountains. The registered society called "Femo" is carrier of the part "Braunschweiger Land / Ostfalen”. In between the basement blocks of the Harz Mountains and the "Flechtingen Ridge" salt structures formed a specific pattern of anticlines and synclines. The Mesozoic and Cenozoic rock sequence of this area shows a broad spectrum of sedimentary facies with iron ores, lignite and salt deposits. Due to these deposits grew mining, and for example steel and car industry ("Volkswagen").Therefore the motto for this part of the geopark is "Earth history as the basal condition for the development of the industrial society". 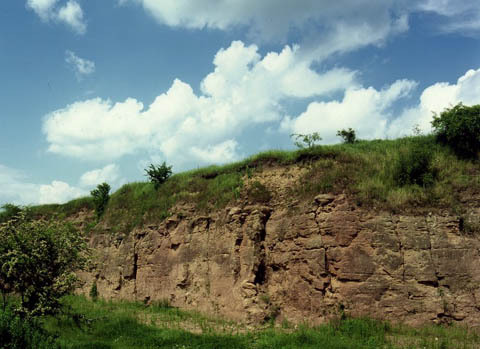 The Germanic Triassic is well exposed along the salt anticlines. Lower Triassic stromatolites and oolites, Middle Triassic fossiliferous limestones and deltaic environments of the Upper Triassic are major subjects. Jurassic highlights include the black shale facies of the fossiliferous Lower Jurassic (ammonoids, insects, vertebrates) and the Upper Jurassic carbonate rocks outcropping at the northern rim of the Harz Mountains where a dinosaur fauna has been recently excavated. 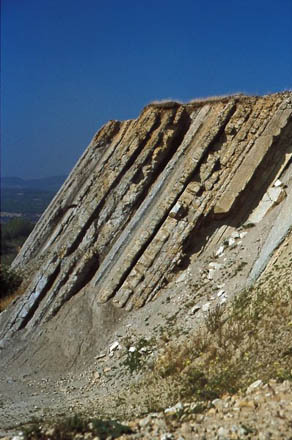 The Cretaceous period is characterized by sedimentary iron ore deposits ("Salzgitter/Peine type") and the facies of the Subhercynian Cretaceous Syncline, that exhibits transitions from continental siliciclastic via deltaic to marine carbonate sediments by excellent outcrops along the E/W-direction. The rim synclines of the Helmstedt-Stassfurt salt anticline give insight into the lignite-bearing Tertiary sequence intercalated with marine glauconitic sediments.